The Department of Inland Revenue is an amalgamation of a number of The Bahamas’ primary tax and revenue agencies namely Business Licence, First Homeowners Exemption, Real Property Tax and Value Added Tax. The need for reorganization and modernization of the revenue collection and taxation system in The Bahamas prompted the formation of this department. 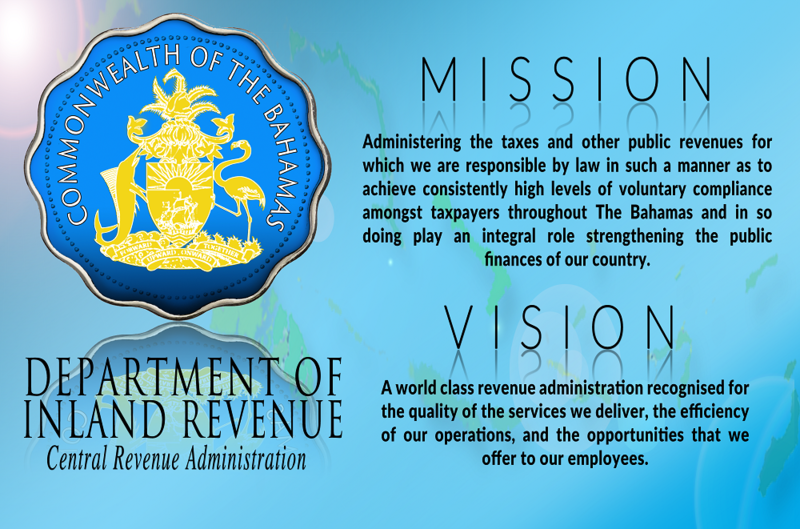 The unification of these agencies under one umbrella – The Department of Inland Revenue acts as the stimulus for increased efficiency for the assessment, collection and overall tax and revenue administration for The Bahamas. Click the link below to view charter.